PNY Technologies (PNY) considered one of the worldwide leaders in consumer electronics market and flash memory products, has launched a range of efficient flash drives for storing all your digital files. 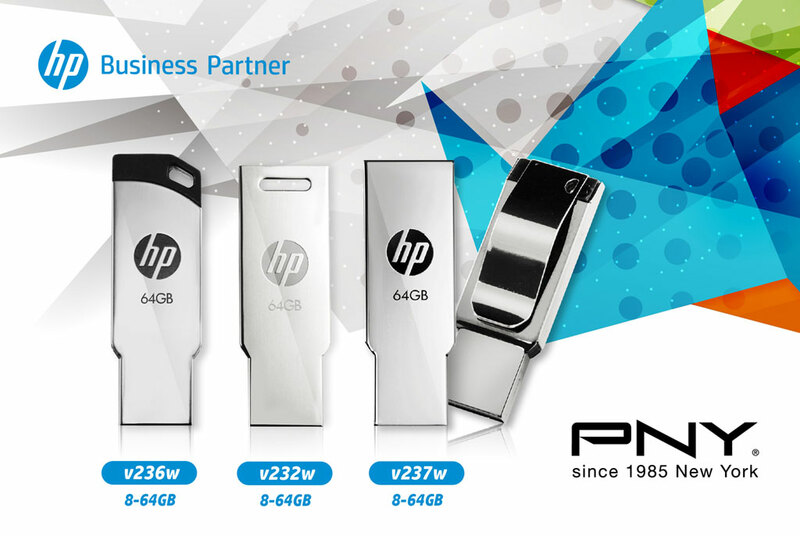 The HP v236w/v232w/v237w are compact and stylish pen drives that offer massive storage and functional performance for storing and transferring your files. Each of these pen drives feature lidless and durable design with integrated strap-hole or clip for portable and easy operation. With high-quality metal outer casing and a slim, streamlined outline, these pocket-sized pen drives can store unlimited amount of personal data, movies, images, music in their 64GB memory space, while comfortably fitting inside your back pocket or wallet.